SYDNEY (Australia) — Australia will play fellow co-hosts New Zealand in Sunday’s World Cup final in Melbourne after they beat defending champions India by 95 runs at the Sydney Cricket Ground. 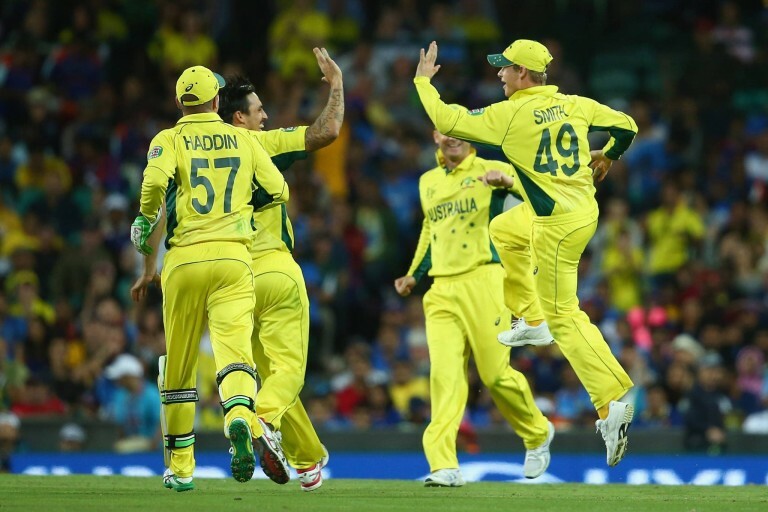 Aussies powered into the World Cup final with a 95-run victory over defending champions India in Sydney. But India — unbeaten in their run to the semi-finals — fought back with paceman Umesh Yadav taking four for 72 before Mitchell Johnson smashed 27 not out off nine balls. India made a bold start to their stiff chase but lost two quick wickets after opener Shikhar Dhawan holed out for 45. 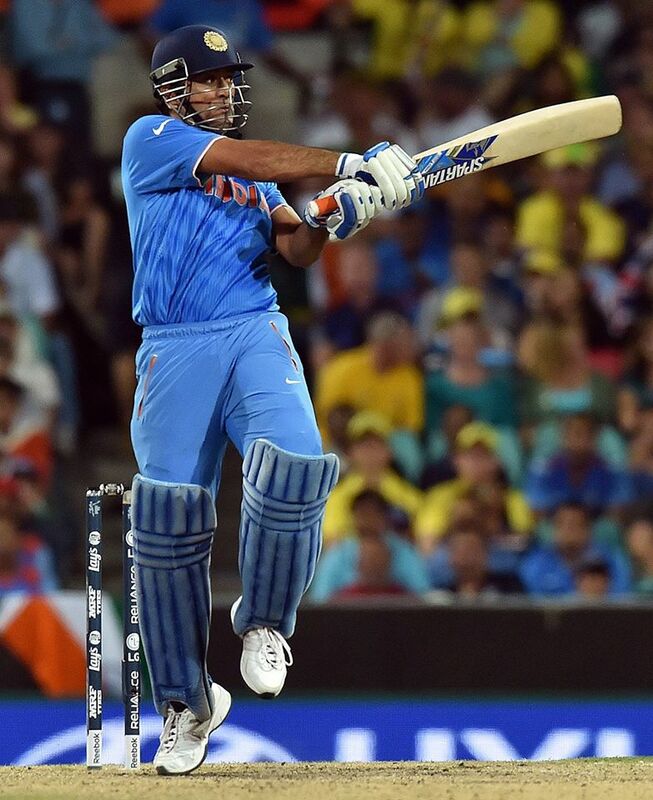 Mahendra Singh Dhoni, the India captain, rallied his side with a run-a-ball 65 until he was run out by Glenn Maxwell’s direct hit with only one stump to aim at. India were eventually dismissed for 233. New Zealand and Australia have already met at this World Cup, with New Zealand winning by just one wicket in a pool-phase thriller at Auckland’s Eden Park last month. Australia left plenty of runs on the table with its target of 329, but dropped catches aside it proved more than enough to continue a perfect record of seven-times successful in World Cup semi-finals. Now Michael Clarke’s team will have to conquer the tournament’s only unbeaten side if they’re to claim a momentous fifth crown on home soil. 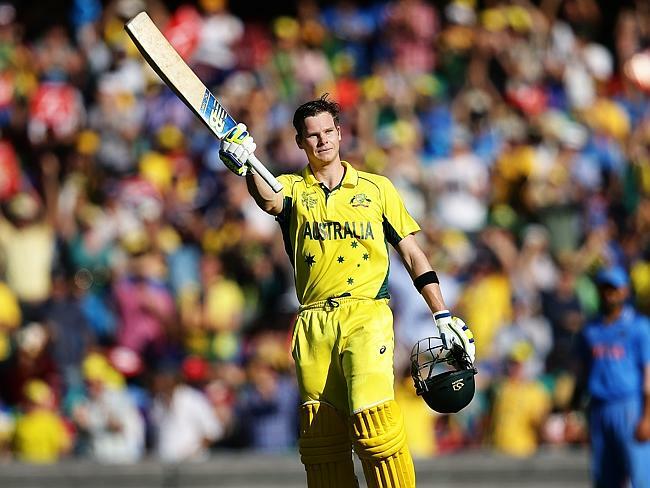 Smith’s stunning contribution didn’t end with his graceful 105 off 93 balls. Smith’s shotgun run-out of Ravindra Jadeja in the 42nd over then sealed India’s fate as the tourists crumbled to be all out for 233 with 3.1 overs remaining. It was panic stations early though for Australia, as rampant openers Rohit Sharma and Shikhar Dhawan made the most of lucky chances to race India to 0-76 in the 13th over. Brilliant Johnson smashed 27 not out off nine balls and picked up 2 wickets as well. Dhawan made Australia pay, carting James Faulkner for 29 runs in nine balls and powering to 45 before a pumped-up Hazlewood struck back with the crucial wicket to have the left-hander caught in the deep. Then Johnson, who has ridden shotgun to Mitchell Starc all tournament, jumped back into the driver’s seat to fire danger men Virat Kohli and Sharma in quick succession to leave India on the ropes at 3-91. 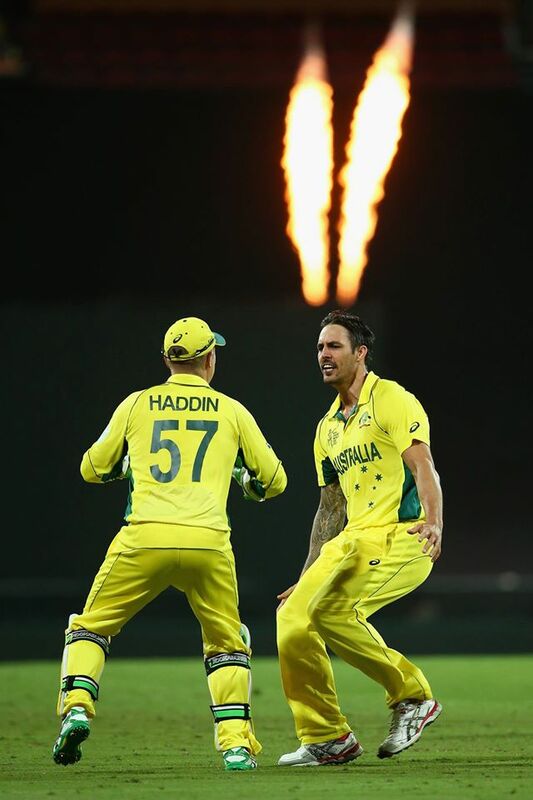 Faulkner got his own back too, blitzing through the tail to complete a three-wicket haul. Dhoni’s gallant captain’s knock kept a pro-Swami crowd interested, but by the time Glenn Maxwell ran out the ambling skipper for 65 the fairytale final organisers have been praying for was already assured. Steve Smith, the Sydney-born prodigy, who has tortured India like few other batsmen in history this summer, drove the final nail in their coffin. There were 11 fours and two sixes in his first ODI ton at the SCG, as the star No.3 and a persistent Finch (81 off 116) drove Australia into pole position at 1-197. But when Smith went trying to kick the innings into the next gear, it sparked an unexpected mini-collapse of 4-51 – as visions of posting 400 quickly became a fight just to make 300. To the rescue came Johnson, who smashed 27 not out off nine balls in a stunning cameo that didn’t put India out of the picture but at least ensured they would have to break a World Cup chasing record to make the final.